Develop SEO Strategy that Enhances your Search Results by 250%! Can you believe this? 250% increase in search results? Can such SEO strategy really exist? Well, everything is possible in this world if we determine to do so. So, let’s take a look at what really can help business owners to bring such a good boost in search results. Do some research about the keywords that suit your niche: First of all, think about the topics that you will search for or for which you would like to be get renowned among your target audience. Let’s say if you are into business of selling furniture then you would love to be known for providing tips for buying furniture, cleaning it and maintaining it for long, increasing its life and lots more. Then, once the topics are known; make sure to get the target keywords for your marketing strategy, planning and those that can help you to reach your goals. Finding such keywords is very easy. Just add the topics to “Google Keyword Planner tool” and you will get many keyword ideas as well as terms related to the topic for which people are searching the most. Choose the best ones and prepare a list, low competitive ones are those having maximum opportunities. Then, use any keyword tool to know the popularity as well as competition of the keywords you have selected. Once you get them then you can move ahead. 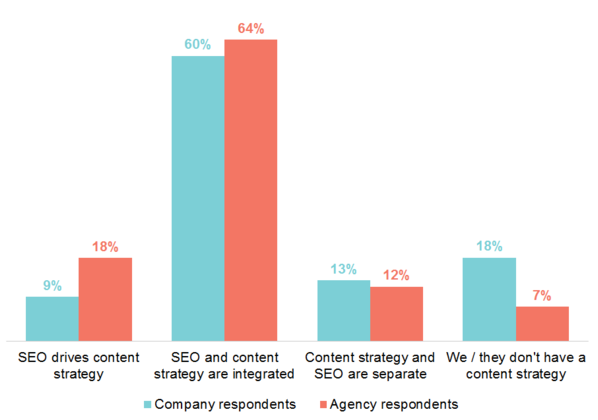 Develop a Plan for your SEO Content Strategy: Now, you have good keywords with you and it’s the time to have a proper plan for your content strategy. The main thing is to organize your keywords as per the goals. Begin with your goals: Your first goal may be to increase visibility and this can be done by increasing your online marketing efforts. So, try to fulfil this goal first and then move on to next one. This will help you to organize SEO in proper manner. Once it is properly arranged then identify your content type. For every keyword, there’s a special content type which is used to get good rankings for that particular keyword. If you are focusing on product then the content should be for eCommerce pages, landing pages etc and if your focus is on service then make use of normal content marketing like as blog posts, templates etc. Keep in mind your audience while selecting the content type. Publish and Share your content: Quality content always gives you great results and this is an effective way to boost the top results up to 250%. What does this quality actually means? Quality content means that which reduces bounce rates and compels your viewers to stay for long reading your posts. Try to write more of engaging content. Long form contents are more acceptable. The more words your post has, the high your rankings will be as now search engines prefer to have posts of around 2000 words instead of 500 words. Yes, but it should in no way reduce the quality as then no matter how long your content is , it won’t get ranked in search results. Execute the Plan: Once the content is developed, then it’s the time to optimize it and make it live for people to read. Here, you will have to know what message you would like to deliver to people via your content along with targeting necessary keywords which makes it easy to find your content. This is the main part of the content that actually plays the entire role. Give emotional headlines to your content as this will show that your content is actually meant for audience rather than only for search engines. The first 100 words of your content are the ones that play a major role in attracting the attention of people. Your content introduction must begin with interesting facts; stories as well as anecdotes which will keep users engaged thus compelling them to read the entire post without a stop. It’s recommended to use keyword at least once in introduction. Last but not the least; use perfect Call to Action. Adding keywords after writing the post. Improper use of keywords in headlines that doesn’t make any sense. Stay tuned to Platinum SEO, SEO in Melbourne for more such informative posts.